AKIPRESS.COM - As world leaders prepare to meet in Morocco next month for climate change talks, herders in Mongolia have taken the initiative to save their ecosystem and way of life – and they’ve borrowed a page from their communist past to do so, IRIN says. According to the Ministry of Food, Agriculture and Light Industry, roughly 70 percent of Mongolia’s pastureland is degraded or desertified, largely due to overgrazing and exacerbated by climate change. It has been hard to stop that trend, as pastureland is not regulated by the national government. In response, a growing number of herders are self-organizing into work collectives to better manage resources, rehabilitate the environment and create emergency relief funds. “The mountains over there are rosy-red colored. There’s no grass there anymore,” said Batnasan B., a herder who lives in Ikh Tamir county, and like many Mongolians uses only an initial as a last name. While the Paris Agreement, which enters into force on 4 November, aims to keep global warming well below 2 degrees Celsius, Mongolia’s submission to the UN Framework Convention on Climate Change, which assesses progress on previous treaty commitments, shows that the nation has already surpassed that threshold. Temperatures in the formerly communist nation, which shared close ties to the Soviet Union, have increased by 2.07 degrees since records began in the 1940s. As a result, animals are growing smaller and weaker as pastures turn to desert, rendering herders increasingly vulnerable to lower market prices and extreme weather events. In order to combat these trends, more and more herders are finding solutions in a collectivist approach to pastureland management. Collectivization is nothing new to Mongolian herders – they worked as collective employees of the state during the Soviet era. And long before that, in the time of Genghis Khan – founder of the Mongol Empire in the 11th and 12th centuries – they migrated together with clan members, pooling labor and resources to ensure survival. But this new form of collectivization has a distinctly 21st century twist. It’s not top-down or mandated by the state as it was during the Soviet era; nor is it tied to patronage or lineage, as it was in ancient times. Instead, herders today are voluntarily signing co-op contracts to self-impose stricter pastureland and livestock management regulations. They are also finding new ways to maximize profits for disaster preparedness. On the steppe, natural disasters almost always come in two forms: dry, windy summers that contribute to desertification, and dzud, or harsh winters, which have led to some of the greatest devastation of livestock and livelihoods in Mongolia’s recent history. Herder collectives have tapped into expertise of local and international aid organizations such as the Ulaanbaatar-based Environment and Development Association, the Swiss Agency for Development and Cooperation, and the United Nations Development Program. They are now protecting water sources and rehabilitating pasturelands, and they’ve also launched new income-generating projects, such as growing vegetables and increasing their presence at dairy markets. The most successful example comes from two collectives in Arkhangai province, which are making their presence felt in London’s Savile Row. They have launched a joint venture with Tengri, a British luxury fashion label that operates on a “fairshare” model. These herder collectives are selling indigenous, sustainable yak fibers directly to Tengri, cutting out middlemen and earning roughly 175 percent more in the first year of trading. Herders have negotiated terms with Tengri that are more profitable and sustainable, earning 1.2 to 1.5 times more per unit of yak fiber than the price set by the national government. Tengri also pays the collectives a bonus based on profits, something individual herders never had when dealing with middlemen. Nancy Johnston, CEO and founder of Tengri, said that 298 families signed up to be part of the cooperative when it launched in 2014. Since then, that number has mushroomed to 4,500 families. 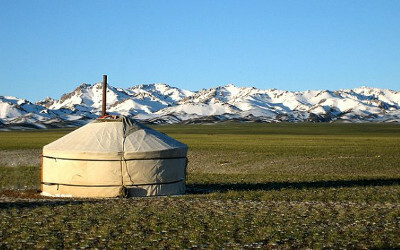 In another innovative twist, rather than divvying up and spending these profits individually, the collectives are practising profit-sharing to set up risk funds that sustain them through harsh winters, said Jambaldorj S., a herder and leader of the Arkhangai Province Federation of Pasture User Groups. This had an immediate impact during the latest dzud of 2015-2016, which killed 1.1 million head of livestock nationally and affected 41 percent of herders, according to the UN. In Mongolia, maintaining the future of livestock herders is essential for safeguarding the country's social and economic fabric. Herders make up 30 percent of the national population and are considered the backbone of the economy, caring for a livestock sector that contributes an estimated 20 percent of the country’s GDP, according to the Ministry of Food, Agriculture and Light Industry.